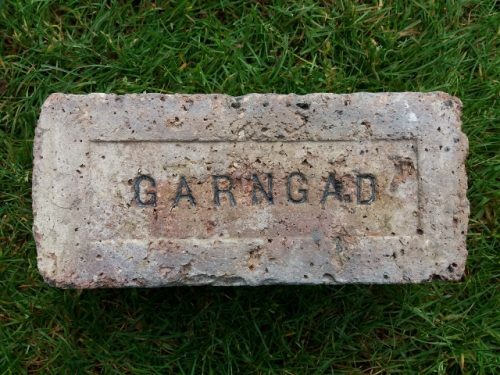 Garngad Brick Works, Glasgow possibly occupied by Dodds. 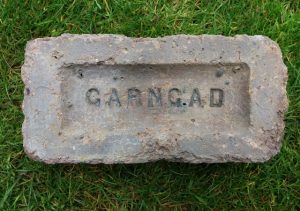 Found by Tucker Kennedy in Glasgow John Dodds, moulding sand, ground fire-clay and composition brick maker, 470 Garngad Rd. N.; tel. No., Bell 2994 – ho. 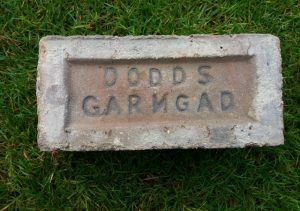 575 Alexandra parade (Springburn, Glasgow). . . . .
Found Renton, Dumbarton. Slightly deeper frog than my other similar example. 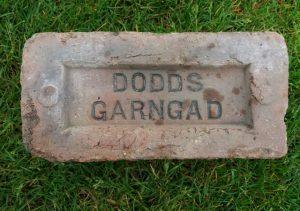 Garngard brick works, Glasgow possibly occupied by Dodds. . . .
Found in Rutherglen and kindly donated by Sandra MacLeod John Dodds, Garngard brick works, Glasgow. 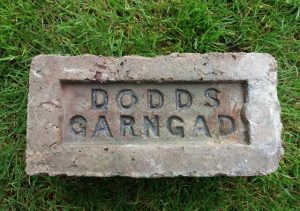 . . . .
Found in Fife area – JC John Dodds, Garngard brick works, Glasgow. 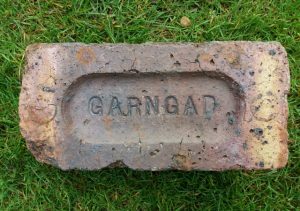 . . . .
Found banks of the Clyde, Old Kilpatrick, Glasgow. 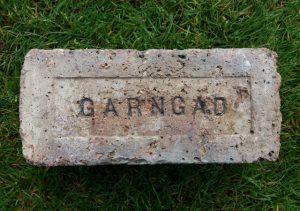 Garngard brick works, Glasgow possibly occupied by Dodds. . . . .